IDEA Public Schools is proud to announce that 100% of the Class of 2019 have been accepted to college. We take pride in this momentous achievement because we believe a college degree is the most important steppingstone to success in life. This accomplishment is the culmination of our students’ hard work throughout their academic careers. Every one of our seniors will graduate from IDEA ready to excel in college and eventually seek out the career of their choice. In total, more than 1,080 seniors at IDEA applied to a minimum of six colleges or universities, making the Class of 2019 IDEA’s largest graduating class ever! 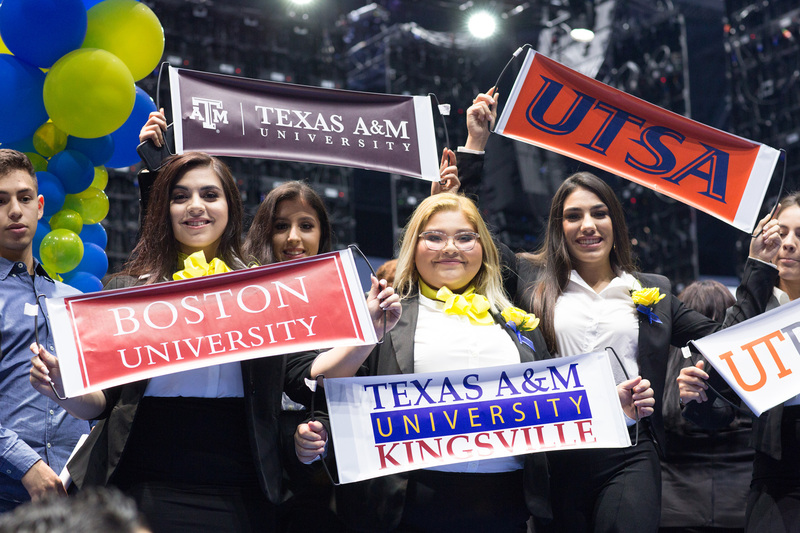 Acceptances ranged from local and state schools like Texas A&M University and the University of Texas Rio Grande Valley to prestigious and highly-selective schools like Yale University, Brown University, and Massachusetts Institute of Technology. For an inside look at a magical college acceptance moment as IDEA Brownsville College Preparatory senior, Karla Camacho, learns of her acceptance to Yale University! Watch the video here. To commemorate the class of 2019’s academic careers and to celebrate their college choices, IDEA will host its annual College Signing Day (CSD) events this April, which will include inaugural ceremonies in Austin and San Antonio. At College Signing Day, seniors will be recognized for their multiple college acceptances and reveal their final college selection to their peers, their teachers, administration, family and friends. Way to go, IDEA Class of 2019! Success in college, and in life. Our approach is different, and it works.